The Green's function method is one of the most powerful and versatile formalisms in physics, and its nonequilibrium version has proved invaluable in many research fields. 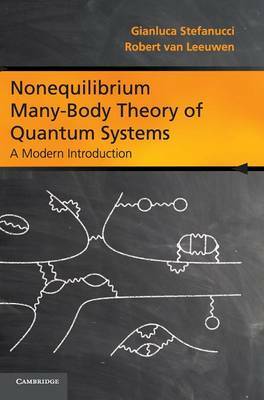 This book provides a unique, self-contained introduction to nonequilibrium many-body theory. Starting with basic quantum mechanics, the authors introduce the equilibrium and nonequilibrium Green's function formalisms within a unified framework called the contour formalism. The physical content of the contour Green's functions and the diagrammatic expansions are explained with a focus on the time-dependent aspect. Every result is derived step-by-step, critically discussed and then applied to different physical systems, ranging from molecules and nanostructures to metals and insulators. With an abundance of illustrative examples, this accessible book is ideal for graduate students and researchers who are interested in excited state properties of matter and nonequilibrium physics.